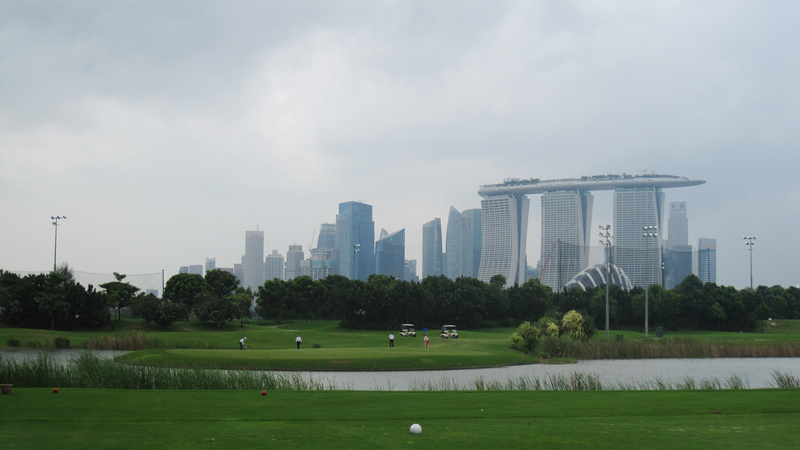 The Marina Bay Golf Course opened in November 2006 as the first fully public course in Singapore and one of only a handful of links courses in Asia. 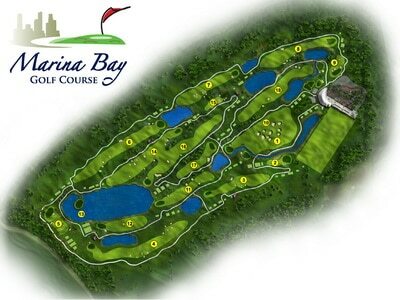 The course is also the first to introduce the only par-6 hole on the island. 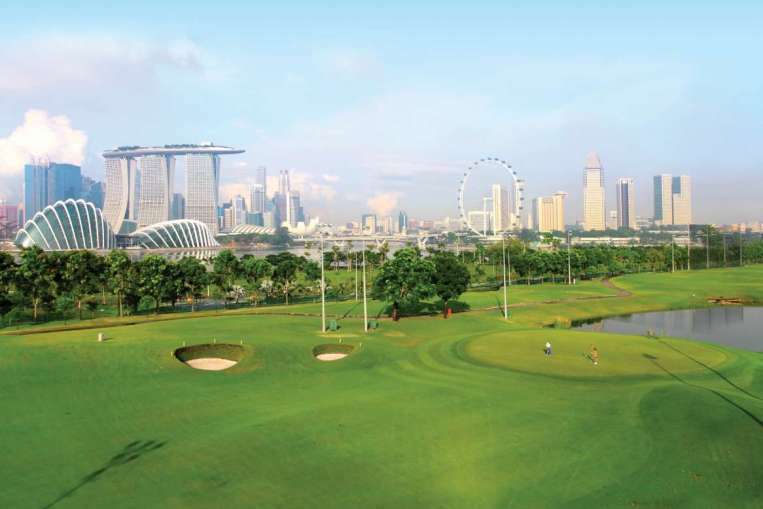 Since then Marina Bay has garnered many prestigious awards including top three for the coveted categories of ‘Best Course in Singapore’, ‘Best Value for Money Experience’ and ‘Best Public Golf Course in Asia Pacific’ at the annual Asian Golf Awards. 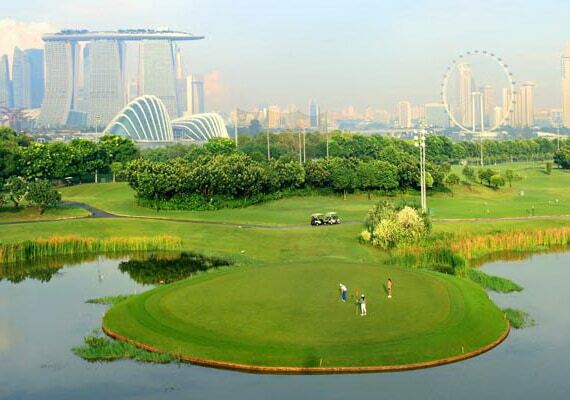 The 18-hole 7,101-yard par-72 course was designed by South African Phil Jacobs, who was responsible for the design of The Links at Fancourt in South Africa and Ria Bintan in Indonesia. 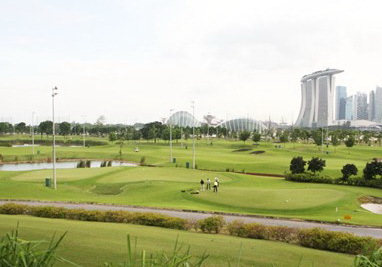 Marina Bay Golf Course is unique in that it makes excellent use of the 87 deep British Isles styled pot bunkers found scattered throughout the course. 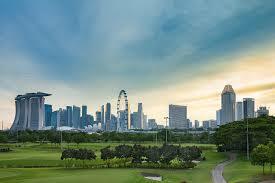 The signature holes include the par-6 4th hole and the par-3 13th. 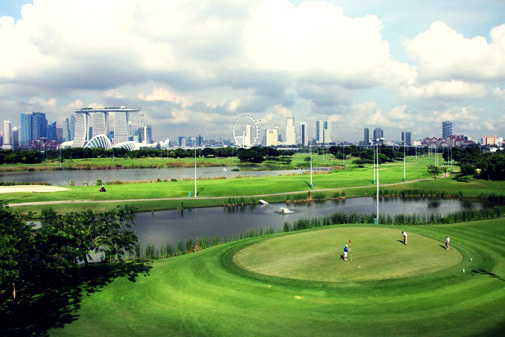 The 4th hole measures 716 yards and is sure to test even the best golfers. The short par-3 features an island green surrounded by a railway tie retaining wall, ala Pete Dye. 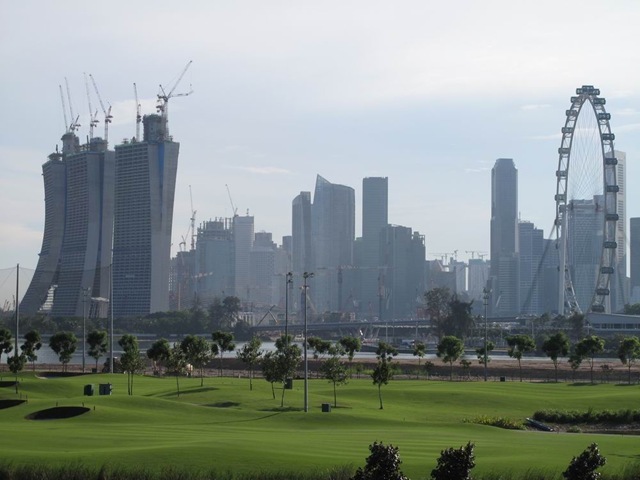 The hole plays across the prevailing winds, so a slight draw over water and into the wind is needed to get close to the pin to set up a birdie opportunity. 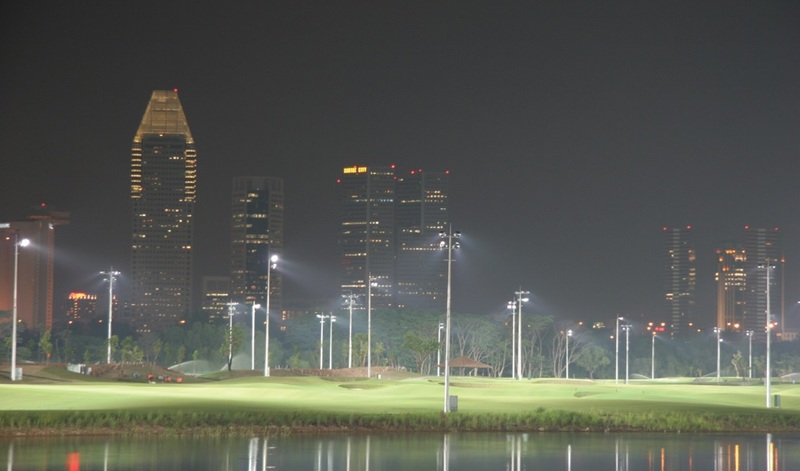 Marina Bay Golf Course has floodlights for night golf, and it is an excellent addition to a Singapore golf package. 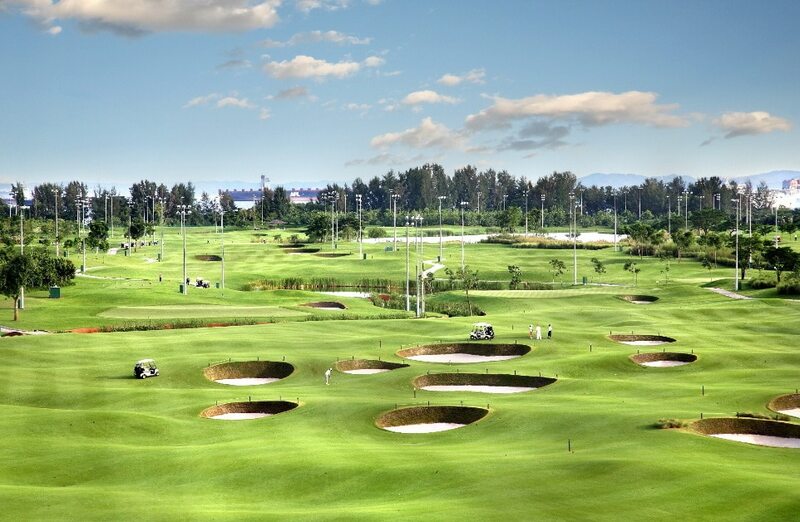 It also features a 4-tier driving range, which is also very rare and the largest on the island. 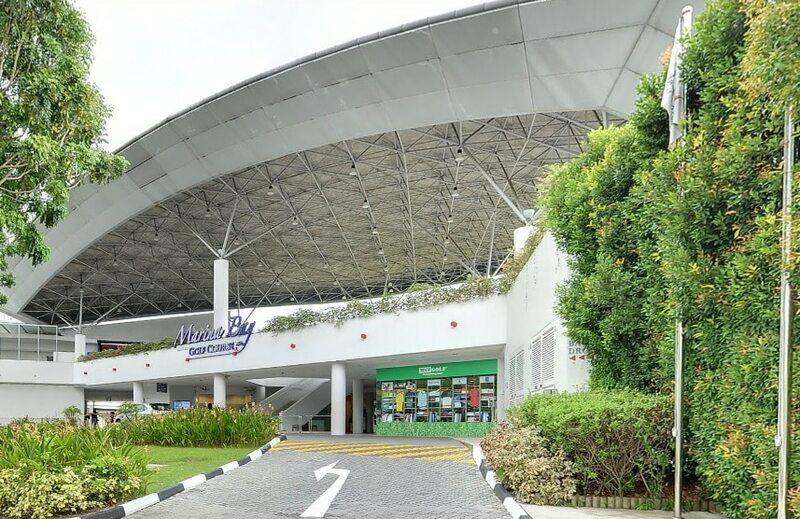 Other on-site facilities include a café with a bird’s eye view of the golf course and Singapore’s city skyline, golf academy, and golf pro shop. 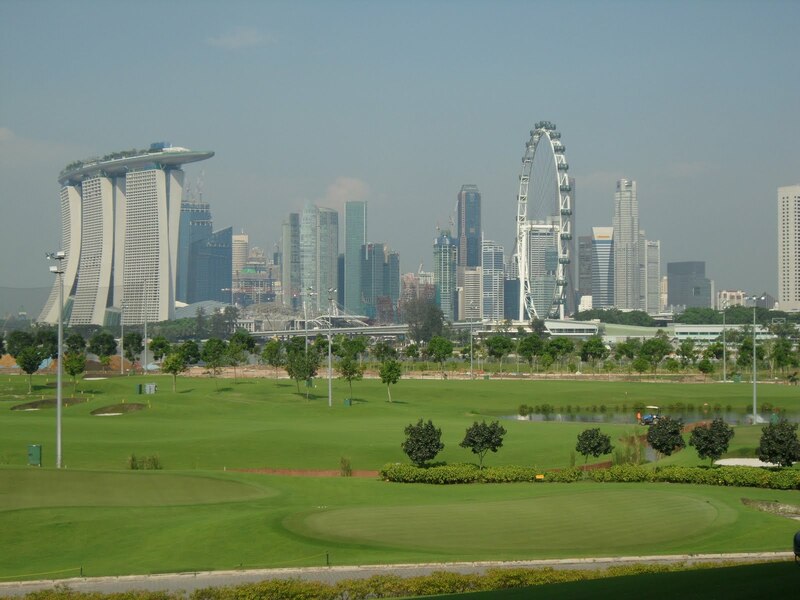 Have you played golf at the Marina Bay Golf Course and took some nice photos that you would like to share with other golfers? Send them to us and we may upload them here. Thank you in advance!